The Bern "Watts EPS" Helmet is a light weight and strong multi sport helmet which is made of a ABS outer shell and a EBS inner shell and provides you thanks to its special and modern manufacturing technology best wearing comfort, a low and very slim design. This helmet offers very good protection for bike sport, skating, snow sport and water sport. 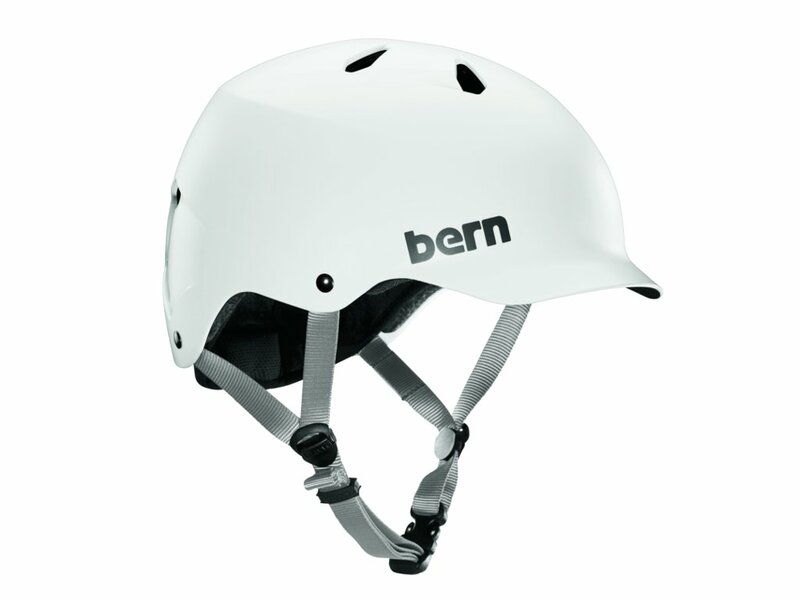 The integrated visor gives this Bern "Watts EPS" Helmet a very sporty look but also a practical blind too. The chin strap is made of soft nylon and can be individually adjusted to ensure in collaboration with the "Crank Fit" system a good and tight fit. The 10 holes provides you an excellent ventilation and keep your head dry and cool. The liner of the Bern "Watts EPS" Helmet is removable.